This Noosa Dream boat cruise voucher is the perfect way to explore the waters around Noosa. They'll love a private charter for up to 5 people aboard this unique, 19ft mahogany runabout boat with twin open cockpits. 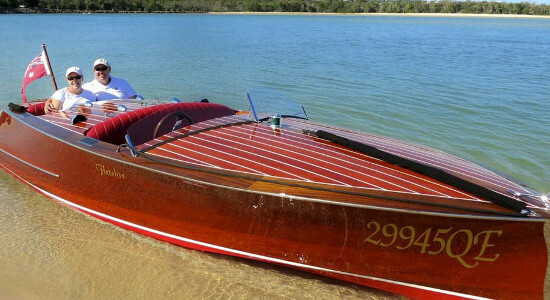 Boasting a powerful inboard engine, this handcrafted vessel is in the style of classic 1940s American powerboats, offering the most fun you can have on the waters of Noosa. A private charter will take them on the ride of a lifetime, cruising in style with the Noosa Dream's gleaming hardwood and timeless 1940s charm. 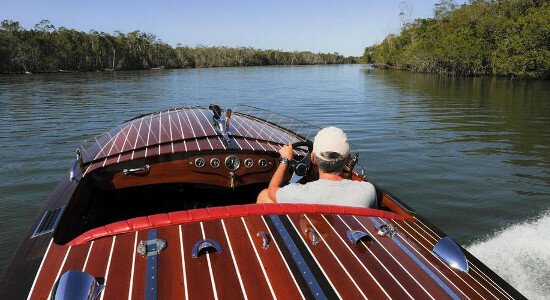 It's the classiest way to explore the natural beauty and stunning architecture of Noosa Sound and Weyba Creek. Because guests are in charge of the cruise, they are guaranteed to enjoy the sights and sounds when out on the waves or heading up Noosa River in this gorgeous powerboat. Just because she looks classy doesn't mean she can't go when the throttle is pushed to its limit. The Noosa Dream boasts speed and raw power that makes any boat ride a whole lot more fun. Choose from three different Noosa Dream boat tour gift vouchers, and give an unforgettable cruise through Noosa River, Lake Cooroibah and Noosa Sound from Gift It Now. The natural beauty of the Noosa River can be experienced first hand on this cruise combining elegance, glamour and excitement on this classic boat. Set your spirits free and get away from it all as you escape to Noosa's lovely Lake Cooroibah. Your gift voucher includes complimentary digital photos. Give a Noosa River cruise gift voucher to explore Noosa Sound and Sir Richard Branson's private resort island on this 2.5 hour boat cruise.